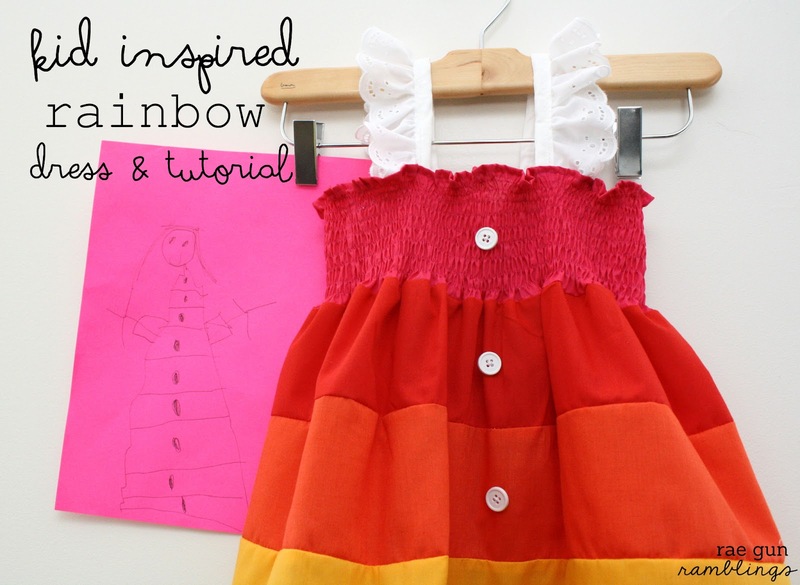 I have the pleasure of guest posting today over at Me Sew Crazy. If you don’t already know Jessica has been doing a really awesome series of clothing inspired by kids or K.I.D.S Kids Inspiration and Design Series. It’s been so fun seeing what other bloggers and their kiddos have come up with. 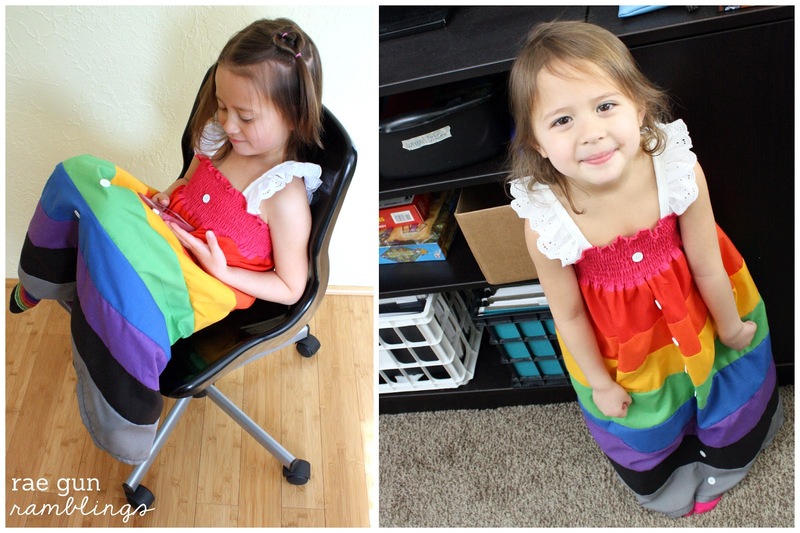 Today I’m sharing the cool rainbow dress that T my 5 year old niece designed a few months ago and I sewed up. 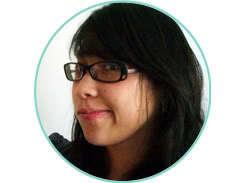 See my process of translating her design as well as a tutorial for how to make your own. I absolutely love that moment when a kiddo moves from drawing random scribbles and shapes to really drawing as a way to express her imaginations. My 5 year old niece T has recently been drawing these amazing people. Some with really beautiful flowing hair and others with detailed dresses. It has been SO fun to watch her imagination appear on the pages. I asked her many questions about her pictures. Where those ruffles? No just stripes. Different colors? Yes. And she made a point to tell me that she wanted the arms higher because she’s “not so good at drawing” haha too cute. The dress was so easy and I think pretty cute. If you want to make your own Just measure your kid from shoulder to ankle and divide that by the number of sections (I had 9). T was about 34 inches so that had me rounding up to 4 inches per panel but you want to add an inch to the top and the bottom panels (my red and gray). Even though you measured from the shoulder with seam allowances this ends up working with the shoulder straps. Start off by sewing/serging each panel to each other so you have one big paneled rectangle. Next hem the top edge and then shirr the top panel (mine was the red one). If you haven’t shirred before check out my tutorial on how to shirr fabric. It’s very easy and so much cheaper than buying the pre-made stuff. Then finish the edges (that will become the back) with rights sides together sew the back leaving a slit. Mark the center. I did so by folding and ironing down the middle. Sew on buttons. Iron the first ironing fold away. Use gathered eyelet for the straps. Have your little one try on the dress and measure how long the straps should be and mark their placement with a disappearing marker (on T’s I did them 10 inches so they ended up shorter once sewn on). Sew the straps on. I had so much fun sewing this up and I think that T liked seeing her design come to life. I already have another picture that she wants me to sew up. This picture was drawn a few months ago and her drawing skills have really improved since so I’m excited for more collaborations! And of course her little sister LOVED it and insisted on trying it on after we were done taking pictures. I thought this dress was so super cute Marissa! I love those big stripes!! Oh goodness, this dress is adorable! I’ve never shirred my own fabric before. I will definitely have to do that :) I love that T gets to wear a dress that she designed. So stinkin’ cute! Found you at Making the World Cuter Monday. Have a great day!